Clinohumite: Mineral information, data and localities. 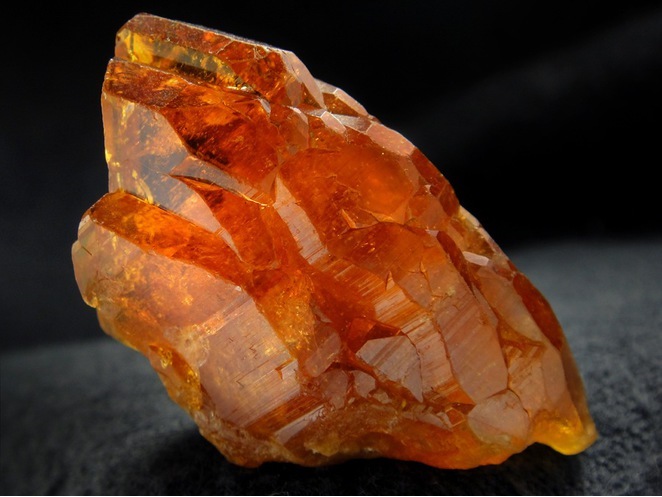 Named in 1876 Alfred Lewis Oliver Legrand Des Cloizeaux in allusion to its monoclinic crystal structure and relationship to humite, which was named after Sir Abraham Hume [February 20, 1749 London, england, UK – March 24, 1838 Wormley Bury. England. 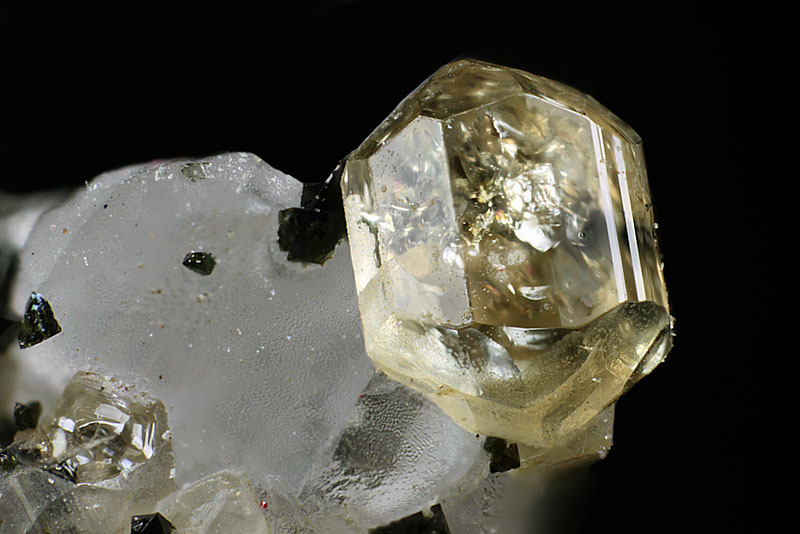 UK], English connoisseur and collector of gems, minerals, and artwork. May be confused with chondrodite. Visit gemdat.org for gemological information about Clinohumite. Titanclinohumite A Ti-bearing variety of Clinohumite. Spinel 48 photos of Clinohumite associated with Spinel on mindat.org. Calcite 23 photos of Clinohumite associated with Calcite on mindat.org. Graphite 6 photos of Clinohumite associated with Graphite on mindat.org. Forsterite 4 photos of Clinohumite associated with Forsterite on mindat.org. Szaibélyite 3 photos of Clinohumite associated with Szaibélyite on mindat.org. Cordierite 2 photos of Clinohumite associated with Cordierite on mindat.org. Pyrite 2 photos of Clinohumite associated with Pyrite on mindat.org. Clinochlore 2 photos of Clinohumite associated with Clinochlore on mindat.org. Spinel Group 2 photos of Clinohumite associated with Spinel Group on mindat.org. Quartz 2 photos of Clinohumite associated with Quartz on mindat.org. American Mineralogist (1973): 58: 43-49. V.M. Gekimyants, E.V. Sokolova, E.M. Spiridonov, G. Ferraris, N.V. Chukanov, M. Prencipe, V.N. Avdonin, Yu.A. Polenov (1999): Hydroxylclinohumite Mg9(SiO4)4(OH,F)2 - a new mineral of the humite group. Zapiski Vserossiyskogo Mineralogicheskogo Obshchestva 128(5): 64-70. FERRARIS, G., PRENCIPE, M., SOKOLOVA, E.V., GEKIMYANTS, V.M., SPIRIDONOV, E.M. (2000): Hydroxylclinohumite, a new member of the humite group: Twinning, crystal structure and crystal chemistry of the clinohumite subgroup. Zeitschrift für Kristallographie, 215, 169-173. Langer, K., Platonov, A.N., Matsyuk, S.S., and Wildner, M. (2002) The crystal chemistry of the humite minerals Fe 2+ - Ti 4+ charge transfer and structural allocation of Ti 4+ in chondrodite and clinohumite. European Journal of Mineralogy: 14: 1027-1032. The following Clinohumite specimens are currently listed for sale on minfind.com. Dampier Mining Company Ltd (1977) Exploration Licences 1341 and 1342. "Strangways Range" and "Hale River". Arunta Complex, Northern Territory Final Report CR77/139. Shaw, R.D. (1970) Geology and copper deposits of the Pinnacles Bore Area, Strangways Range, Northern Territory. Department of National Development, Bureau of Mineral Resources, Geology and Geophysics, Record 1970/115. Orris, G.J., and Grauch, R.I. (2002): USGS Open-File Report 02-189.; American Mineralogist, Volume 93, pages 81–87, 2008; Melcher, G. C. (1965). O carbonatito de Jacupiranga. Boletim da Faculdade de Filosofia Ciências e Letras, Universidade de São Paulo. Geologia, (21), 5-70.
http://www.geologyontario.mndm.gov.on.ca/mndmfiles/mdi/data/records/MDI31F04SE00151.html; Sabina A. P. (1986) Rocks And Minerals For The Collector, Bancroft - Parry Sound and Southern Ontario, Geological Survey of Canada, Miscellaneous paper 39, p.20. Tianfu Li, Jingsui Yang, and Ruyuan Zhang (2006): 3rd Annual Meeting of the Asia Oceania Geosciences Society (AOGS), July 10-14, 2006, Abstract 59-SE-A0247. http://www.ngu.no/FileArchive/165/2003_055.pdf Geological Survey of Norway / The Alice Wain Memorial West Norway Eclogite Field Symposium / Abstract Volume. Němec, D: Výskyt minerálů humitové skupiny v Českém masívu. Acta Musei Moraviae, Scientiae naturales, 1971-72, roč. LVI-LVII, s. 41-46. Pelloux, A. (1946): Mineralogy of Aosta Valley. Rend. soc. mineral. ital. 3, 188-206. Grill, E. (1922): Sui giacimenti d'amianto delle Alpi piemontesi. Atti Soc. Ital. Sci. Nat., 60, 3-4, 287-301; Del Caldo, A., Moro, C., Gramaccioli, C.M., Boscardin, M. (1973): Guida ai minerali. Fratelli Fabbri Editori, Milano, 208 pp. ; Castello, P. (1974): Il giacimento di amianto di Emarèse. Bull. Soc. Flore Valdôtaine, 28, 63-67; Castello, P. (1981): Il giacimento di amianto di Emarèse (AO). Riv. Mineral. Ital., 5, 3 (3-1981), 86-90. Del Caldo, A., Moro, C., Gramaccioli, C.M., Boscardin, M. (1973): Guida ai minerali. Fratelli Fabbri Editori, Milano, 208 pp. ; De Michele, V. (1974): Guida mineralogica d'Italia. Istituto Geografico De Agostini, Novara, 2 vol., 408 pp. ; Antofilli, M., Borgo, E., Palenzona, A. (1985): I nostri minerali. Geologia e mineralogia in Liguria. II Edizione. SAGEP Editrice, Genova, 296 pp. Del Caldo, A., Moro, C., Gramaccioli, C.M., Boscardin, M. (1973): Guida ai minerali. Fratelli Fabbri Editori, Milano, 208 pp. Sigismund, P. (1949) Titanclinohumite, olivine e ripidolite di Valmalenco. Atti Soc. Ital. Sci. Nat., 88, 145-171. Bedognè, F., Montrasio, A., Sciesa, E. (1993) I minerali della provincia di Sondrio: Valmalenco. Bettini, Sondrio, 275 pp. Del Caldo, A., Moro, C., Gramaccioli, C.M., Boscardin, M. (1973) Guida ai Minerali. Fabbri ed., Milano, 208 pp. De Michele, V. (1974) Guida mineralogica d'Italia. Ed. De Agostini, Novara, 2 vol., 408 pp. Mariani P., Scaini G. (1978) I minerali d'Italia. Rizzoli, Milano. Bedognè, F., Montrasio, A., Sciesa, E. (1993) I minerali della provincia di Sondrio: Valmalenco. Bettini, Sondrio, 275 pp. Gramaccioli, C.M. (1975) Minerali alpini e prealpini. Istituto Italiano Edizioni Atlas, Bergamo, 2 vol., 472 pp. Bedognè, F., Montrasio, A., Sciesa, E. (1993) I minerali della provincia di Sondrio: Valmalenco. Bettini, Sondrio, 275 pp. Mauro, F. (1910) I minerali della Val Malenco (Valtellina). Boll. Club Alpino Ital., 40, 107-122. Bedognè, F., Montrasio, A., Sciesa, E. (1993) I minerali della provincia di Sondrio: Valmalenco. Bettini, Sondrio, 275 pp. Gramaccioli, C.M. (1962) I minerali valtellinesi nella raccolta di Pietro Sigismund. Ed. privata, Milano, 179 pp. Bedognè, F., Montrasio, A., Sciesa, E. (1993) I minerali della provincia di Sondrio: Valmalenco. Bettini, Sondrio, 275 pp. Tomasi, L. (1950) Studi petrografici dei filoni e contatti del Passo della Bottiglia (Gruppo dell'Ortler). Acta geol. Alpina, 2, 9-49. Bedognè, F., Montrasio, A., Sciesa, E. (2006) I minerali della media-alta Valtellina, delle Orobie valtellinesi e della Val Poschiavo. Aggiornamenti sulle altre località della provincia di Sondrio. Bettini, Sondrio, 255 pp. Watanabe, T. : Boron mineral resources in Korea (in: Geology and Mineral Resources of the Far East, University of Tokyo Press, 1969); Imai, A., & Anan, S. (2000). Sulfur isotope study and re‐examination of ore mineral assemblage of the Hol Kol and the Tul Mi Chung skarn‐type copper–gold deposits of the Suan mining district, Korean Peninsula. Resource Geology, 50(4), 213-228. BARTH, T.F.W. (1925): On contact minerals from Pre-Cambrian limestones in Southern Norway. Norsk Geologisk Tidsskrift 8, 93-114. BARTH, T.F.W. (1928): Kalk- und Skarngesteine im Urgebirge bei Kristiansand. Neues Jahrbuch für Mineralogie, Beilageband 57A, 1069-1108. Popov, V.A., Pautov, L.A., Sokolova, E., Hawthorne, F.C., McCammon, C., and Bazhenova, L.F. (2001) Polyakovite-(Ce), (REE,Ca)4(Mg,Fe2+)(Cr3+,Fe3+)2(Ti,Nb)2Si4O22, a new metamict mineral species from the Ilmen Mountains, southern Urals, Russia: mineral description and crystal chemistry. 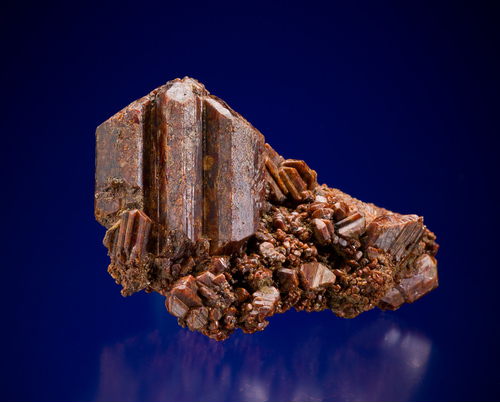 Canadian Mineralogist: 39: 1095-1104.; Jambor, J.L. and Roberts, A.C. (2002) New mineral names. American Mineralogist: 87: 765-768. Veksler, I. V., Nielsen, T. F. D., & Sokolov, S. V. (1998). Mineralogy of crystallized melt inclusions from Gardiner and Kovdor ultramafic alkaline complexes: implications for carbonatite genesis. Journal of Petrology, 39(11-12), 2015-2031; Verhulst, A., Balaganskaya, E., Kirnarsky, Y., & Demaiffe, D. (2000). Petrological and geochemical (trace elements and Sr–Nd isotopes) characteristics of the Paleozoic Kovdor ultramafic, alkaline and carbonatite intrusion (Kola Peninsula, NW Russia). Lithos, 51(1), 1-25.; Downes, H., Balaganskaya, E., Beard, A., Liferovich, R., & Demaiffe, D. (2005). Petrogenetic processes in the ultramafic, alkaline and carbonatitic magmatism in the Kola Alkaline Province: a review. Lithos, 85(1), 48-75.; Subbotin, R. P. L. V. V., & Pakhomovsky, Y. A. (1998). A new type of scandium mineralization in phoscorites and carbonatites of the Kovdor massif, Russia. Canadian Mineralogist 36:971-980. Pavel M. Kartashov data. ; USGS Open File Report 2005-1252: 23.; Jambor, J.L., Pertsev, N.N., and Roberts, A.C. (1999) New mineral names. American Mineralogist: 84: 1195-1198. Kinosaki, Y. (1941) Jour. Min. Soc. Korea, v. 24, no. 10. Stalder, H. A., Wagner, A., Graeser, S. and Stuker, P. (1998): "Mineralienlexikon der Schweiz", Wepf (Basel), p. 241.; Romani E. (2000): Andar per cristalli - Tesori nascosti. Centro studi del Museo mineralogico naturalistico di Bormio, 151 p.
Anthony, J.W., et al (1995), Mineralogy of Arizona, 3rd.ed. : 177; Bideaux, R.A., et al (1960), Some new occurrences of minerals of AZ, AZ Geol.Soc.Digest: 3: 53-56; Balk, R. (1954), Petrology section, in Mineral resources of Fort Defiance and Tohatchi quadrangles, AZ & NM, NM Bur. of mines, Min. Resource Bull. 36: 192; Sun, M.S. (1954), Titanclinohumite in kimberlitic tuff, Buell Park, AZ (abstract), Geol.Soc.Amer.Bull. 65: 1311-1312; McGetchin, T.R., et al (1970), Titanclinohumite: A possible mineralogical site for water in the upper mantle, Jour.Geophys.Res. : 75: 255-259. Murdoch, Joseph & Robert W. Webb (1966), Minerals of California, Centennial Volume (1866-1966): California Division Mines & Geology Bulletin 189: 151; Pemberton, H. Earl (1983), Minerals of California; Van Nostrand Reinholt Press: 460. Chesterman, C.W. (1942), Contact metamorphic rocks of the Twin Lakes region, Fresno County, California: California Division Mines Report 38: 254; Pemberton, H. Earl (1983), Minerals of California; Van Nostrand Reinholt Press: 147, 460. Wise, Wm. S. (1959), An occurrence of geikielite: American Mineralogist : 44: 879-882; Pemberton, H. Earl (1983), Minerals of California; Van Nostrand Reinholt Press: 460. Burnham, C. W. (1959), Contact metamorphism of magnesian limestones at Crestmore, California Geological Society of America Bulletin: 70: 879-920; Pemberton, H. Earl (1983), Minerals of California: 460. Reilly, L.C. : Senior Thesis, Yale Univ. (1983); Dunn, P.J. : Am. Min. :70:379-387 (1985); Dunn(1995):Pt3:347. The Minerals of New York City & Its Environs, New York Mineralogical Club Bull. Vol. 3, No. 1, Manchester, J.G. (1931): 80. (Januzzi, 1966, 1989) (Manchester, 1931) (Trainer, 1938).